Every person who sews needs at least one cute pin cushion to adorn there craft room. Having cute things around you help motivate you when you are being creative. To add more cuteness to your craft room, here is a little heart pin cushion you can make. If you do make one, feel free to share with us by adding a picture to the Flickr Group. 2. Grab some scraps for the heart and iron them. 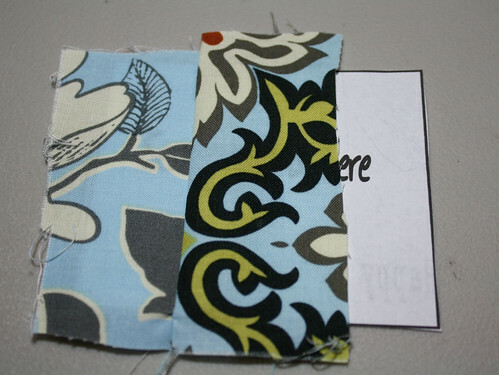 Start by placing one piece on the edge of the pattern piece that says “sew scraps here”, wrong side down. Then place the next piece you want on top of it, right side down. 3. 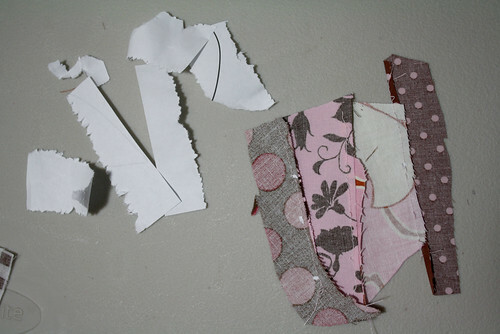 Sew the two pieces together, right onto the paper. 4. Open up and iron seam. Continue on until the whole paper is covered with scraps. 5. Rip the paper off of the back now. 6. Sew any top seams you want now. 7. 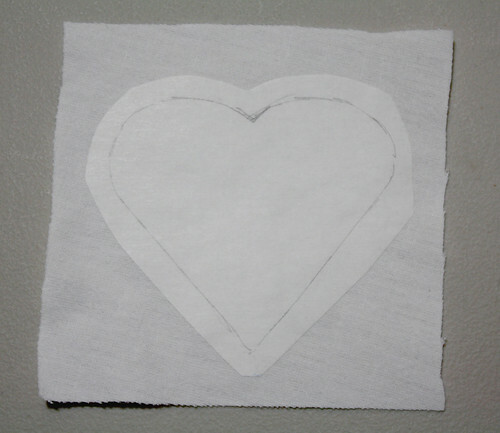 Trace the heart onto the middle of the piece of iron on adhesive. You will trace on the paper side, not the sticky side. 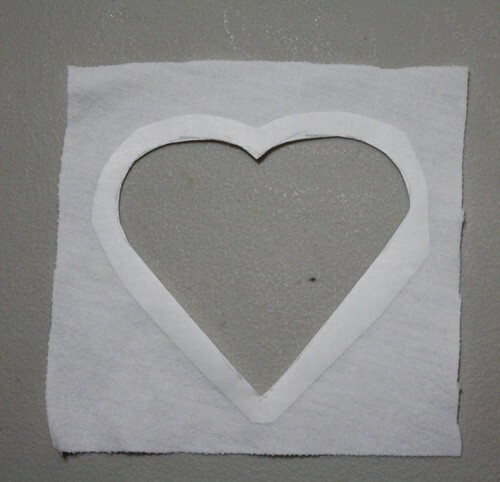 Cut around the outside of the heart about 1/2″ at the most. 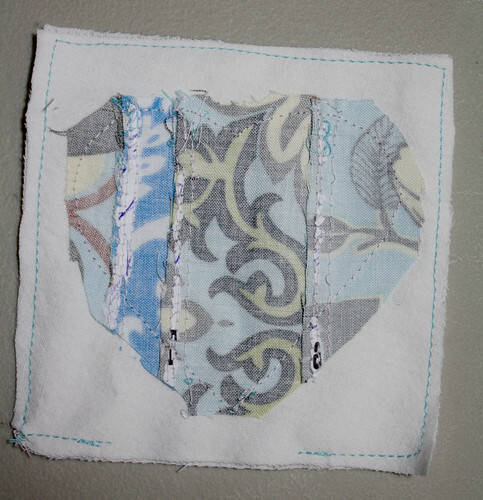 Cut out two pieces of fabric for the main part of the pin cushion using pattern piece. Place the sticky side of the iron on adhesive on the middle of the wrong side of the main fabric. Iron on according to directions. 11. Cut the heart out. Start by making a clip in the middle and then cut it out. 12. 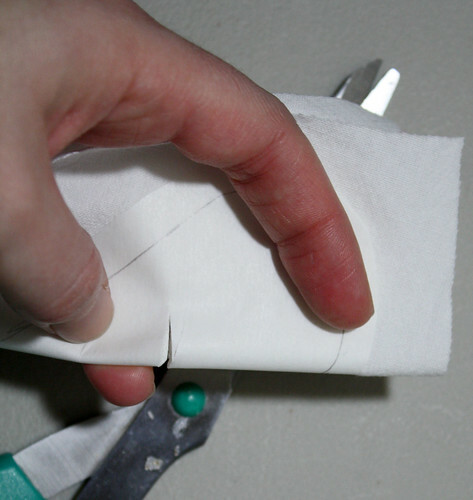 Remove the paper backing on the fabric. Place scraps underneath the heart cut out. The iron on adhesive will be on the top of the scraps. Iron together according to directions. 13. 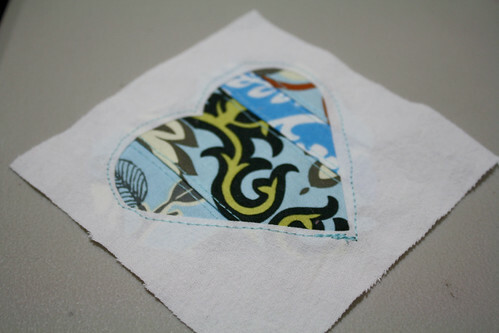 Sew around the heart if you like and add any other embellishments. You could embroider or add a ruffle. If you add a trim, sew it on first first sewing the two pieces together. You sew it on the right side of the fabric so the edge you will see is facing towards the middle of the square. It keeps it in place a lot easier. 14. Place the two main pieces right sides together and pin. Sew around leaving an opening for turning and stuffing. 15. Turn right side out. Iron it real quick if it got wrinkly. Stuff with fiberfil, quilt batting, etc. I found that I really liked using quilt batting to fill them with. It was heavier than fiberfil but still easy to stick pins into. Another thing I experimented with was using t-shirt scraps. I stuffed some in on the bottom, then covered the top with quilt batting. This allowed the pins to stick in easily, but added even more weight to the pin cushion. 16. Hand sew opening shut. Now you have an adorable pincushion! The cute pins are Fiskars Heidi Grace Designs Decorative Pins. 1would be great for crafts sales for our church craft saales. Super cute and super easy …at first I thought there was a lot of picky piecing, but I see the shortcut…FAB! I’ve been meaning to make myself a new pincushion for a while now. I only have one and it’s a bit overcrowded! Thanks for spending time on this tutorial! SUPER cute!!! But I’m thinking why stop with a pin cushion? I think that these would looke precious as throw pillows for my sweet little girls room – pinks and greens with some lace ruffles around!! I find WONDERFUL ideas on your blog. Thanks so much! Suuuuper cute! I wish I had a ton of time to make all the cute things you post on your blog. Cute! I need a pincushion! those are way too cute! I can’t wait to make one or two. The pins are even super cute! Eep! The green one is my favorite. Crossing my fingers and toes right now! My five year old daughter has begun sewing. She is using a hand-me-down pin cushion. This would be perfect for her! I just finished reading to the end! I would love to win the green one (I just finished painting my sewing space with green)! So cute…I would love the green one (I LOVE green)…I may have to even “borrow” this idea for my mom and MIL for a V-day gift…cute! SOOO CUTE and i need a pin cushion too!! These are adorable! Now I won’t have to stick my finger anymore as I grab a pin from the little plastic case! Thank you for being so generous! hey girl. found your blog not too long ago. i looove all your ideas! you are so creative. Very Cute! 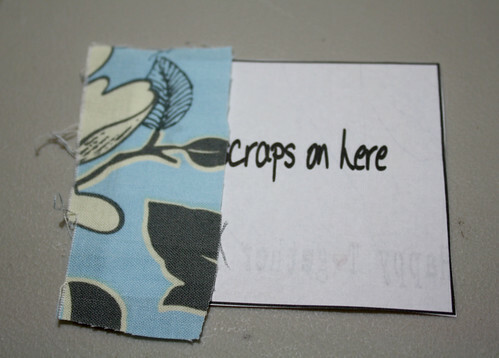 I’ve been looking for things to do with scraps. i love the green pincushion … the linen and embroidery is lovely … hope i win …. What a treasure to win ! They are beautiful ! Thanks for the tutorial….the pictures and directions are easy to follow. The green one is actually my favorite! Thanks for the tutorial! so cute! 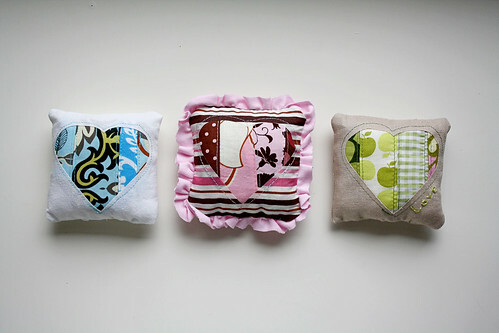 What a great gift idea for my sewing club peeps for v-day. What a clever idea and way to use favorite bits of leftovers. I do hope I win! These are adorable! I love green! It is one of my top priorities this year to improve my sewing skills. I hope to spend most of my summer sewing! A cute pincushion would be wonderful! Thanks for a chance to win one of your adorable ones! I would love to make these, but I would love to win one even more! How adorable! Very cute tutorial! Definitely going to have to try this one out. 😀 Thanks! after picking up all of my pins that i spilled this morning on the floor while cleaning my craft room, i think it was meant for me to read this post!!!! i love all your stuff and would love to have this piece!! Ah, Jessica, they’re super cute! I love the fabrics in them 🙂 The green one would be a perfect little “I love you” gift for my grandmother! Love the green one. Thanks for the giveaway! So Adorable! I love these little pin cushions. I would make some… but I hate working on things so small. I get so frustrated. hah. very cute! 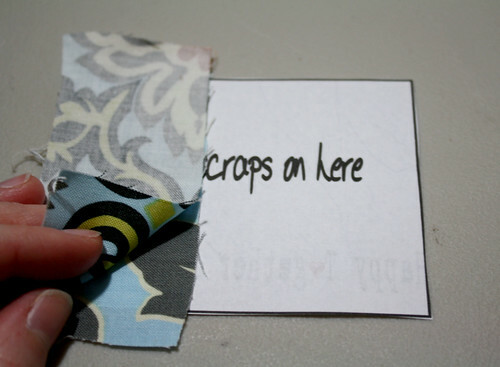 and a great idea for using scraps! Thanks for the tutorial – I’ll have to try it. I love having a use for scraps that eventually come out not looking like scraps 🙂 Thanks for sharing this idea. So Cute! I love this!! Thank for the tutorial! So cute! Where did you get those adorable pins? I cant wait to try this out.. I am new to sewing and trying to set up an area to be my sewing room (or corner) and this is a perfect project to both decorate my area and practice sewing and following a simple pattern. Thanks so much ur stuff is always so cute! They were actually part of an amazing package I received for doing a special tutorial. They are by Fiskars Heidi Grace Designs. If you google Heidi Grace Decorative Pins (I googled it and found a few online stores carrying them) you can find them. They are targeted for scrapbooking, but they are strong enough to use as regular pins for sewing. oooh… pick me! i was just telling a friend how much i needed a really cute pin cushion! 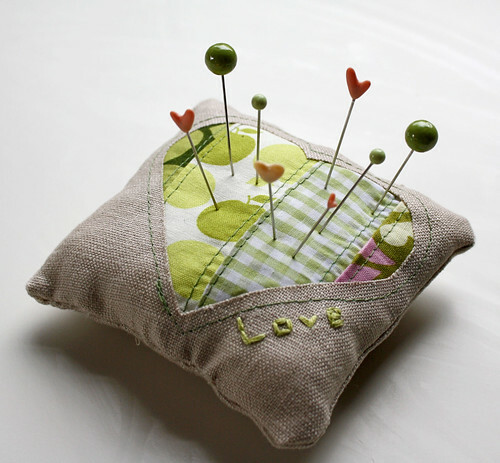 so cute – of course a seamstress need a cute pincushion – my downfall is that there is more than one cute pincushion!!! So cute! I’ll have to make one… unless I win 🙂 Thanks for the giveaway! So elegant and yet simple. Do you ever sleep???? Count me in on the random drawing, and thanks so much for promoting my Renew Vintage Flickr Contest, I am adding another week in the hopes I pick up a few more folks. Very cute!!! Im actually sitting at home VERY bored re-reading blogs that I skimmed over earlier, and I think I am going to head into my sewing room and whip one up…Im thinking VERY LARGE though…lol. I don’t have a pincushion yet! I hope I win! cute! I don’t have a pincushion, but I have been thinking about making one! I would love to win one! So cute and a freat way to use up some scraps. I was just thinkink I needed a pin cushion mine has seemed to disappear. So cute! The green one would brighten up my sewing space…and it happens to be my fav colour! My daughter just started sewing, she would love this, if I don’t keep it for myself! So very cute! 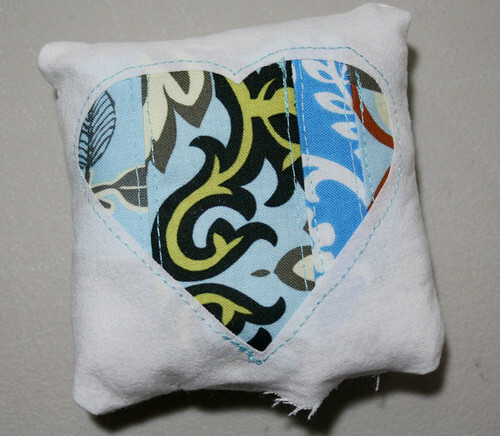 I love sewing and i love your blog….i think i just may need a green sweetheart pin cushion. My sis in law and I were just talking about how having a cute workspace and cute things around you really helps in the creative process. I love the ruffle around the edge of the pink one. How great! Love it! I’d especially love to win since my pile of unfinished projects is so large that I have had to box them up. Rather than start something else… can I just win a completed (and cute) one? Hah! Thanks for the chance to enter! very cute! i’d love to win it! Oh, how cute they are! Really cute!!! Can I give it a home??? I love this! What a great idea for a beginner! Simple and Finish-able in one sitting! Thanks! Cute and Functional! My favourite kind of project! Great tutorial as always! Where did you get such cute pins? Ooh that is too cute! And I was just thinking that the green one was my favorite! What a sweet little pincushion! 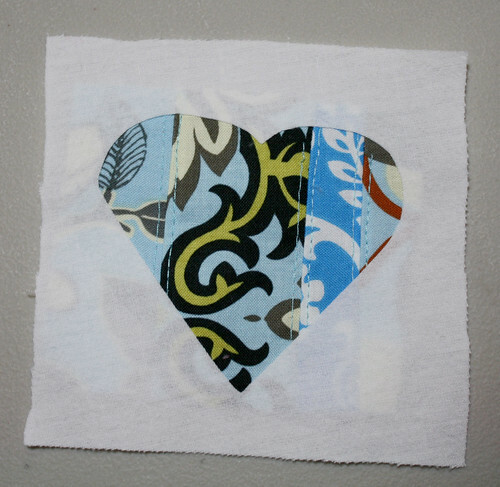 I love the patchwork on the reverse applique heart!! I’ll definitely have to try this. So cute! And so much room to play w/embelishments and custom ideas. Thanks for the giveaway opportunity! 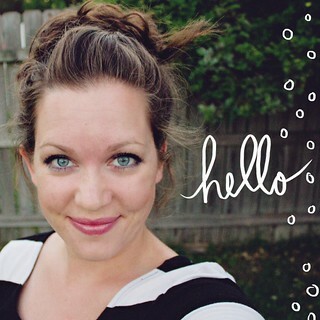 I’m going to give your tutorial a try… but I’d love to win yours! I need to make a pincushion… if I don’t win. What a cute idea to use up scraps. Thanks for sharong. These are lovely,thank you for the idea. I used raw rice with a few lavender drops. 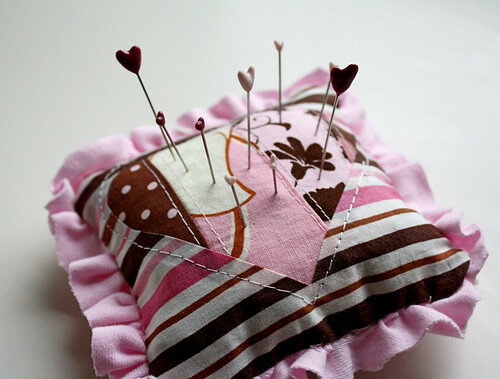 What a cute pincushion…how did you make the little heart pins? Oh my gosh those are absolutely adorable! This is so funny because I have been looking up cute pincushions this week for my sewing class! I really want it! I’ll make it if I have to though:) Cute blog! the cushions look really cute. Well this IS CUTE!!! I love it and I am so happy to see all of these great postings coming from you. Thanks! What a cute tutorial. I have never paper pieced anything before but I think I could try this! Thanks for the tute and the giveaway! Adorable!! I love pincushions. So does my eldest daughter! Love your blog, you are truly talented. You have inspired me so much…There is so many things I would like to try out but so little time. Hope I can make it to the drawing. By the way I used to live in Jax, FL wished I knew you then. I am now in VA you should move back 😉 Continue your great work! Great tute and they are so adorable! It ‘s so funny! I was just in Michael’s today looking for a cool beads to make for my own pin cushion.Thanks for the tutorial! Great tutorial! And it just so happens that the green one is my favorite! They’re cute! Thanks for the chance! awesome tutorial! And I’m so in love with your pins, almost as much as the cushions. 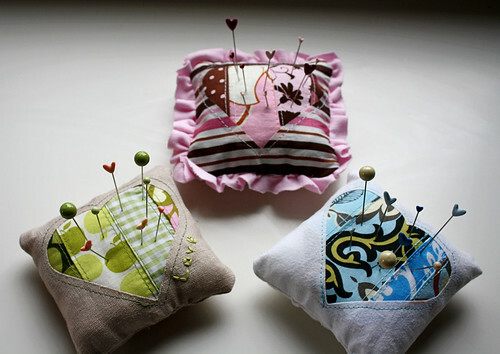 Downloaded your fantastic tutorial and would absolutely love one of the pincushions–nice blog too btw! Thanks for a cute tutorial. Augh! The green one is my fave of the three. I could make this, but I don’t have scraps that cute! 🙂 Thanks for a great giveaway and tutorial. You are so talented! Beautiful! Thanks for the tutorial. I will try it to. I loove this! You have the cutest ideas! this is so cute, I am going to have to try making these. LOVE this!! thanks for the tutorial and the cute giveaway! A- stinking- dorable!!!! cant wait to try it out!!! Super Cute!!! My 9 year old would love to add this to her pin cushion collection! Another great way to use up all those little scraps of fabric we can’t just throw away. These are brilliant, I now have an easy, yet beautiful gift to make for my friends!! Thank you!!! I NEED a pincushion! My favorite color is GREEN! Was it meant to happen?? Crossed fingers! looking forward to making one of these. thanks so much for the tutorial…. I’m totally making one of these for my quilter mum- she’ll love it! What a beautiful little pincushion. Thanks so much for the tutorial on how to make it. I am not sure I can get the iron on stuff over here, but I will look for it. Thank you for sharing the pattern! I hope to make a few using a red and pink felted sweater parts for a couple of breast cancer surviver friends. They are so darn cute and I’m sure would put a smile on their faces (and mine too if I’m lucky enough to win the your beautiful green one)!!!! Thank you so much for this tutorial, I sat down at once to make myself a new pincushion. Want to take a look? Thanks for a cute idea. I bought my granddaughters (ages 7 & 9) sewing machines for Christmas and this might be a fun project to do with them, either for Valentine’s Day or for their Mom’s for Mothers’ Day. Thanks Again. great tute and love your fabric choices. I LOVE pincushions and this is a great tutorial! We’ve linked to it at our SewingBusiness blog: http://sewingbusiness.com/2010/02/06/sweetheart-pin-cushion-tutorial.aspx Thanks again! I would love to win so I could have one to look at as I am making them…LOL. Aww, these are super cute! Thanks so much for the how-to, I’ll be linkgin. CUTE! I love this! Thanks for sharing! LOVE second chances! I would LOVE to win the green one! i will be featuring your product on monday! Hooray for this tutorial! I learned so much making this project. Instead of pin cushions, I made coasters out of them… inserting flannel and top stitching around the perimeter of the square! Thank you for the inspiration! I love it! Amazing super cute and easy pincushion tutorial!!! Thanks so very much!!!! I love it! Great little tutorial…I will definitely be making this again. Cheers! Loved the pincushion has inspired me to get out the sewing machine after it has been in the cuboard under the stairs for far to long. That is a very clever idea, thanks for sharing! I found you on Tip Nut’s Crafty Medley. I’m glad they found you first! I’ve been hanging onto a sack of sock scraps from making baby leg warmers, wondering what to do with them… I think I have my answer! Plus I need some cute pincushions anyway, so it’s a win-win. :>) I linked to this on my weekly roundup – thanks for sharing! What a great way to do this! I think I am going to use your tutorial for the Craft Hope bean bag project! Thanks for the ideas! That’s so cute, thanks a lot for the tutorial. Hi! This is so cute! It ‘s a simple but very nice tutorial! I tried to make it here (http://filofeltrofantasia.blogspot.com/2010/09/un-nuovo-acquisto-la-macchina-da-cucire.html) but did not come so well, it was my first experiment with the sewing machine! I would love to win one of the pin cushions!! I used your tutorial to make one, but I gave it away!! Thanks so much for the awesome directions!! hi… This is very good post.I like the tutorial for making pin cushions very much.Thanks for sharing this very good tutorial. I REALLY wish my printer was working… I will have to wing it. I guess that’s what scrap projects are all about, right? Bookmark it and you will have it. I really love the green one! Your tutorial is awesome!! You are very talented! What a great small gift for a sewing friend. I am always amazed at such creative minds. If I don’t win, I will definitely make this one. Thank you for sharing your talent. I am not really good at reading directions but you made this simple. I have been looking EVERYWHERE for a nice pin cushion. One that’s not round and rolly like those tomato looking things, one that’s big enough for me to stab into while at the sewing machine and not have to look over at it. This looks PERFECT as I can make it any size that I want. And what a creative way to use some of the scraps that I’ve been accumulating. I might just make one of these for each of the sewers in my family for Christmas (it would look so cute with a tree cutout in place of the heart), there are so many ideas that I have now! Oh, now I know I’m going to have to make a ton of these for myself. Woo Hoo! Thank you for such a great pattern! Adorable.LOVE them.Thank you for the idea and clear instructions! THis is so unreal as the lesson or roll call for our quilt meeting this month was pincushions and we shared the ones we had. 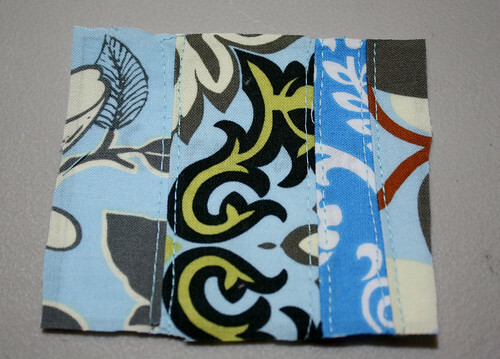 I love this pattern and wll make myself one with the pattern you provide. This is awesome! I love the pink one best! Thanks for taking your time and effort to do this tutorial! Very nice! Pick me please, I have a few in unique collection and would like this one. love these they are soooo sweet! don’t quite understand how you add the ruffle?? do you sandwhich it between the back and front pieces with the wrong sides facing then sew all around the edge? You are right 🙂 It is between the back and front with wrong sides facing. The edge where you gathered it would be the side on the outer edge. Then you can sew over the gathering thread so it won’t be seen when turned right side out. Soooo cute can’t wait to make some for gifts and win one of course. Lol. They are absolutely adorable. I plan on making a few today. Fabulous!! Luv the AB scraps:) going to make these as a small thank you for my new Exec Board of a leadership group. Many thanks!! These are cute. I’m going to make one for each of my (14) granddaughters ! 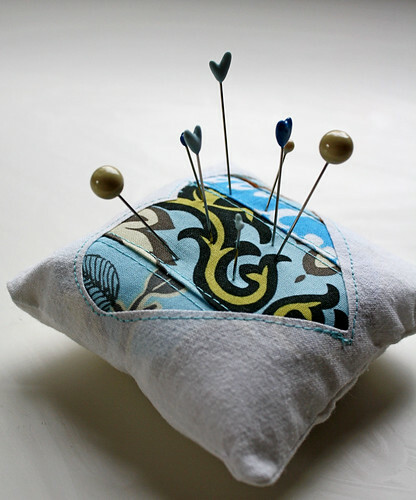 I just love this pin cushion. I need to make it for myself, tired of using an old plastic tub for my pins. Oh those are so super cute. I am new to sewing & quilting would love to have one of them. So cute, Great way of using scraps That most people would just throw away. Such a cute idea. I love the heart in the middle . Thank you for the idea and pattern. OMG…perfect! Hoping to go to a retreat in Aug…perfect giftee!! Love love the pincushion and green is my favorite. Will be making several for my family of sewers. Hope to win . Thanks for sharing this wonderful project. I love the green one..thank you for the chance to win…I never win anything, but always try…. Love this idea to use pieces of materials that I love! Perfect little birthday gift for another quilter. Thanks for the opportunity to learn from your website, and win. my favorite thing is hearts, I have hearts everywhere in my house, quilts, embroidery, hardanger, hand spun yarn and knitted blanket with about 40 squares each with a heart, I would love to have a pincushion like that, I tried to download the pattern and had difficulty, so sad that I couldn’t get the pattern pieces, I really wanted to make several for friends and family, I love your ideas, thank you for sharing these fun projects. Thank you for letting me know about the downloading issues. This post is four years old, so the file sharing site I used to use has changed. I just added it up there directly through my blog now, so hopefully you won’t have that issue again. Cute! I think I may make a few for the Homemakers Club Bazaar!! I am new at this; sorry, I put my comment under website. these are so cute! I have decided to quilt the scrappy heart, add 2015 to it and make them as Christmas ornaments for my family this year. I added a simple string hanger to the edge and filled with polyfill. I would love to share a picture if you have someplace to share it to. That is such a sweet idea! I would love to see what you create. You can share on the Happy Together facebook page or on other social media using #happytogetherbyjess to tag it. There is still an album on Flickr to share in as well.